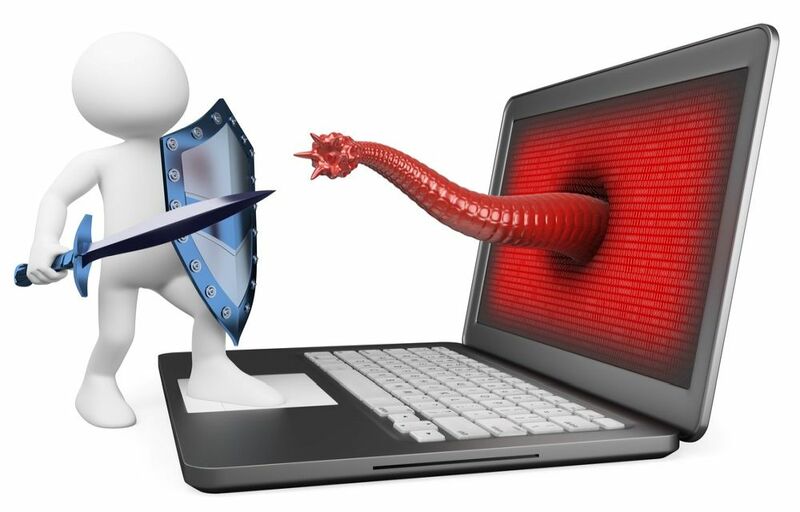 Contrary to common belief, antivirus programs are not a cure-all, set and forget security solution. There are many numerous other things that you still need to do to stay protected. It isn’t possible to list everything but the following is the short version that will help you stay out of trouble. It isn’t good enough to use an antivirus. Use a good antivirus. How do you know an antivirus is good? Look at the test scores from leading antivirus testers. These are companies that test antivirus programs do see how well they match up against threats. Also, make sure you set your antivirus software to update automatically so that you are always protected against the latest security threats. UAC is a security feature introduced in Windows Vista. It helped plug a loophole that existed in Windows XP and earlier Windows versions. UAC alerts you anytime programs try to install software, change your Windows settings or make any other changes to your computer. If your computer is infected by some nefarious program, you get an immediate notification of any installation attempts or other dubious behavior. Your firewall in Windows should always be enabled and configured correctly. It blocks any unsolicited network connection attempts. Also, anytime you connect to a network, always choose the Public Network option for maximum network security connection settings. Java is and continues to be a security loophole that’s exploited by malware. In the past, it used to be necessary to have Java installed to access some websites and run some programs such as Minecraft. However, Java applets are extremely rare these days, and programs like Minecraft now come with their own bundled Java. So uninstall any Java runtimes for additional computer security. Set Windows to update automatically. If you are on a bandwidth plan that has a monthly data cap, then set Windows to alert you of updates as soon as they become available and then update as soon as possible. The battle between software firms and cyber criminals is a never ending one. The criminals are hard at work trying to find security holes while the good guys are hard at work trying to patch security holes. So when the software company advises you to update your software to plug a vulnerability, you better do so with extreme urgency or else you might have much more to worry about than your data plan. If you want to download a software program, get if from the official website. Don’t click links in forums, emails or other websites. Malware is often bundled into software distributed at unofficial sites. Peer-to-peer networks are all the rage and have been used by distributing illegal software for well over a decade. Unfortunately, hackers long discovered that this is an easy way to infect unsuspecting users machines with spyware. Many hackers actually crack official software themselves, bundle it with spyware and then distribute it on torrent sites. Users gladly download it and thank the pirate! If you can’t afford Windows, you are better off running free alternatives like Ubuntu and staying safe. In a typical phishing attack, someone will call you out of the blue and claim they are calling from your bank. They will usually have acquired your name and basic banking information by going through your trash and reading discarded bank letters. During the call, they will ask you to confirm your name and then proceed to give you a phony story about how they was recently a security scare at the bank and they need your login details to confirm if your account was affected. Fact, a bank would never ask you for login details. That information is private and should never be given to anyone. Also, watch out for emails purporting to be from your bank and asking you to provide login information for a security test or something along those lines. Believe it or not, “123456” is the most common password. A recent hack off more than 33 million Twitter accounts revealed that 120,000 people were using “123456”. This was followed closely “123456789”, “qwerty” and the most shocking, “password”. If you use such a flimsy password, you’re just asking for it. A password should have no less than eight characters and have a combination of uppercase, lowercase, numbers and special characters. Another thing you should avoid, reusing passwords. Don’t use your Gmail password for your Facebook account and bank login. As stated in the beginning an exhaustive list may not be possible but stick to these nine points, and you will protect yourself from most threats.